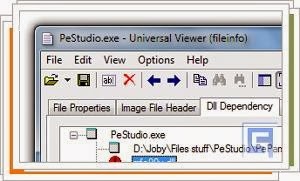 PeStudio is utility to inspects windows executable programs without execute the program. It is shows the data structure of executable files to prevent possible danger or compatibility issues with your Windows operating system. With PeStudio, we will know the result when programs is executed, for example, whether or not a program supports 64 bits. It is support not only EXE file but also support other executable files like DLL, SYS, CPL, OCX, AX, SYS, etc. PeStudio is a really interesting program to help us inspect a program before execute it. it is very easy to use and do not demand much system resources.